Microsoft’s Gabriel Aul, the General Manager of OSG Data and Fundamentals team, has previously declared that all systems running Windows Insider preview build and connected with the MSA you used to register will receive the Windows 10 final release build and remain activated, including after leaving the Windows Insider program. But shortly after Microsoft retracted the statement, and reiterated the official position that all systems requires genuine Windows 7 or Windows 8.1 in order to receive the free upgrade to Windows 10. But apparently the denial is just a lip service to prevent more people to sign up for Windows Insider program to gain free genuine license, especially those who are running Windows XP and Windows Vista, or those who build own machines or plan to deploy in virtual machines. With the release of Windows 10 Build 10240, widely known as the Windows 10 final RTM build, to Windows Insiders, the free Windows 10 license that remains activated for the life of the device for Windows Insiders is pretty much confirmed. Sign out of Microsoft Account (MSA). Switch to use a local account to sign in. 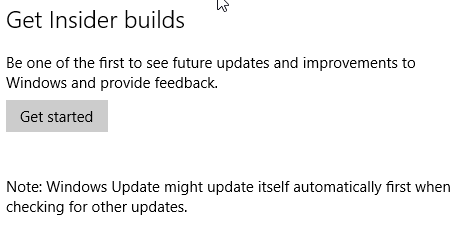 Leave Windows Insider and stop the preview builds. Reset this PC, irregardless of keeping or removing of files. Reinstall Windows 10 by running setup.exe from within Windows. Clean install Windows 10 by booting up from DVD or USB flash drive (or mount ISO in virtual machine). The system not joining Windows Insider. Apparently Microsoft is relying on the recorded hardware ID to determine whether it should grant device license and activate an installed Windows 10. So if you have performed the upgrade to Windows 10 RTM so that your machine is registered with Microsoft, you can perform clean install as often as you like, and stay activated. Microsoft is not providing product key for Windows 10 upgrade license. In any case, no product key is required, as while installation and setup process do ask for product key, it can be skipped and bypassed. Once the Windows 10 is installed and connected to Internet, it will automatically activate itself once it verified that the device is entitled to free Windows 10 license, even if you have not entered product key during installation and setup. Nonetheless, there are few reported cases that Windows Insiders need to login with the Microsoft Account to make the freshly clean installed Windows 10 to activate. But it still means free Windows 10 license for all Windows Insiders. Still wanting the free Windows 10 license? It’s not too late. Just install a build of Windows 10 Insider Preview build, and upgrade from there. You’re good to go with a fully activated and genuine Windows 10. In addition, it appears that pirates also can get Windows 10 upgrade device license for free.